The Shawn Pudney Summer Basketball Academy is one of the most effective basketball training offerings available. 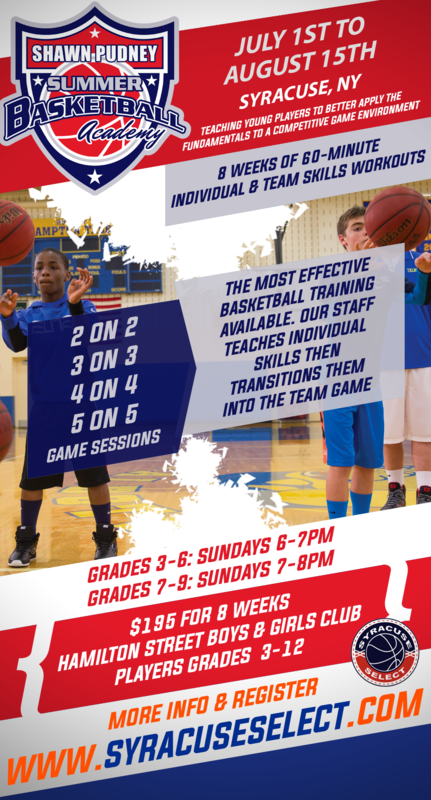 The Basketball Academy incorporates 60 minute workouts ( individual and team skills) over the span of 8 weeks. This allows players to develop over time, with a convenient schedule designed to teach and re-teach the fundamentals of the game of basketball. 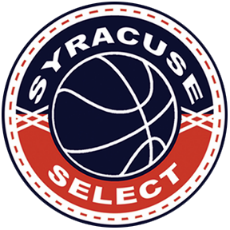 Taught by Syracuse Select Director, Shawn Pudney, this course is designed to push you to the next level of your basketball skills and IQ. Winter Academy dates are: July 1st, 8th, 15th, 22nd, 29th, August 5th, 12th & 19th, 2018. Two Session times available: 6:00pm-7:00pm for 3rd, 4th, 5th, and 6th graders, and 7:00pm-8:00pm for 7th, 8th, and 9th graders. The Shawn Pudney Summer Basketball Academy is the best off-season training program in Central New York.